Investing in real estate is increasingly for all income levels, with a proliferation of online crowdfunding portals primed to further liberalize the market. “[Crowdfunding] enables the casual investor to get involved in real estate in a way they’re comfortable, so they don’t need to do it all on their own,” Tim McKillican, founder and president of Open Avenue, a Kitchener, Ont.-based crowdfunding real estate company, told REP Thursday. Open Avenue is staking the claim as the first Canadian real estate crowdsourcing company, though the notion of raising large sums through small investments from many people – crowdfunding – has been popular in the U.S. for a few years. Sites such as F-Squared Investments, which allows investors to purchase farmland, and Prodigy Network, which raised $171.8 million to build a skyscraper that Forbes says will be Bogota, Colombia’s tallest building, are constantly popping up in the industry. 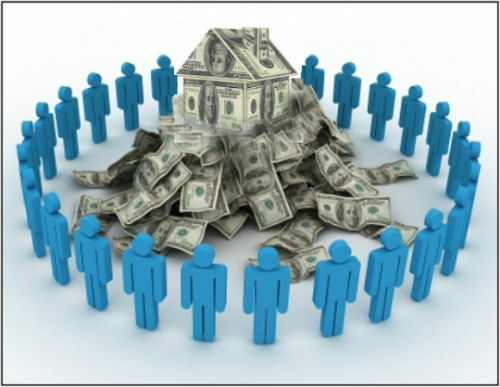 Currently throughout most of Canada, crowdfunding for real estate opportunities is only open to accredited investors, meaning investors must own financial assets (excluding real estate) worth at least $1 million, have net assets of at least $5 million, or have a net income of more than $200,000 in the last two years. The Ontario Securities Commission is, however, expected to announce a Crowdfunding and Offering Memorandum that will open investing to everyone, regardless of financial status, sometime this year. Once those regulations are updated, Open Avenue can officially open its doors, and McKillican says the rewards to investing in an open forum are plentiful. He also says that, while partnering with someone requires due diligence and a certain level of trust, Open Avenue aims to build a transparent system. The company provides investors with real-time updates, including rental incomes and up-to-date expenses.